On Tuesday, Russian Foreign Minister Sergey Lavrov arrived in the Bolivarian Republic of Venezuela, which was the last – and most emotional – leg of his Latin American tour that also included Peru and Salvador. 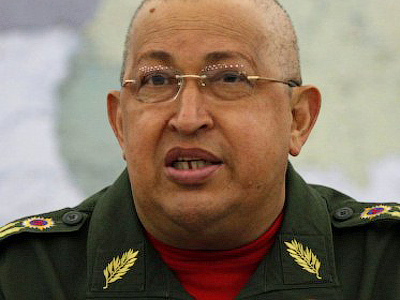 Caracas met him as an honorary guest. The capital's Mayor Jorge Rodriguez presented him the keys to the city, after which Lavrov laid a wreath at the Monument to Venezuelan national hero Simon Bolivar. The most anticipated part of the visit was Lavrov's Wednesday meeting with Hugo Chavez, who has been battling against cancer in recent months. When the Venezuelan leader did not come to greet Russia's top diplomat at the entrance to Miraflores presidential palace, many worried that it could have been a bad sign and the president was not in a good shape, wrote Rossiyskaya Gazeta (RG). 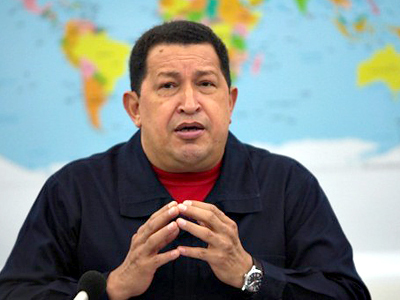 However, after the talks, which lasted for about two hours, Chavez did make an appearance before journalists and, together with Lavrov, answered questions about the outcome of the meeting. "Please give an embrace to President Dmitry Medvedev and Prime Minister Vladimir Putin on my behalf and convey my greetings to the entire people of Russia," Chavez said while addressing Lavrov after their meeting, as cited Itar-Tass news agency. “I will certainly come to Moscow,” the president stated. He stroked his head – bald as a result of two rounds of chemotherapy – and added that he would now need more warm clothes, “probably a Russian fur cap”. As for business matters, the visit appeared to be quite fruitful. Venezuela may soon get a four-billion dollar loan to spend on a variety of projects, including a new purchase of weapons from Russia – which is the republic's major arms supplier. In a few weeks, the Venezuelan Finance Minister, Jorge Giordani, will travel to Moscow to negotiate the details of the loan. Apparently, the Russian side has already made a positive decision on the matter and is ready to lend four billion dollars to its main strategic partner in Latin America, reports Kommersant daily citing a source at Russia's Foreign Ministry. Citing sources in the Russian delegation, the newspaper writes that within the past six months, Caracas has come up with several ideas on how to turn the bank – which was established last year – into a more powerful instrument. “Today, we are considering the possibilities of turning the bank into an international financial organization similar to the World Bank – on a much more modest scale, of course,” a source explained to the paper. Venezuelan Foreign Minister Nicolas Maduro, who also took part in the Wednesday's talks, observed that the joint Venezuela-Russian Development Bank “is an instrument designed to march above and beyond the (global economic) crises, allowing us to finance bi-lateral, socio-economic development projects with our allies,” wrote Venezuelanalysis.com. Overall, both sides expressed satisfaction with the “active nature of the political dialogue between Russia and Venezuela, which occurs on a bilateral basis and within mechanisms of multilateral cooperation”, the Russian Foreign Ministry said in a statement. 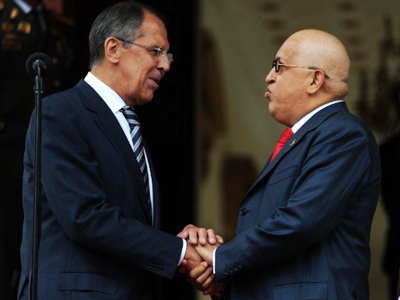 Moscow and Caracas are ready to further develop cooperation. Lavrov and Maduro also signed an agreement on the opening of centers of science and culture in Moscow and Caracas. 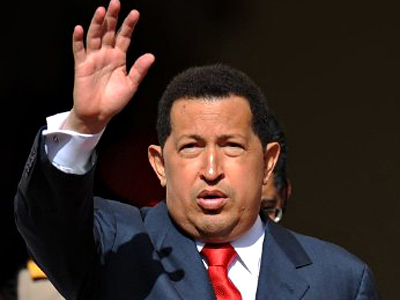 Under Chavez’s presidency, the two countries have been enjoying rather warm relations. One of the most vivid examples of the friendship was Venezuela’s recognition of South Ossetia and Abkhazia as independent states after the August 2008 war.Hugo Chavez has visited Moscow nine times, and Medvedev became the first Russian leader to travel to Venezuela since diplomatic relations between the two countries were established.